Departement of the Bouches du Rhone - Population : 5.554 inh. 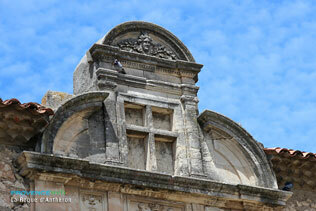 28 km north-west of Aix en Provence via the N7 and the D561. 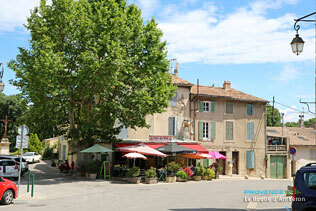 La Roque d'Anthéron is a large village situated on the banks of the Durance river, surrounded by magnificent countryside, opposite the Luberon foot-hills and not far from the Regional National Park. 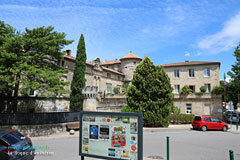 La Roque d'Anthéron is known world-wide for its famous International Piano Festival which is held every summer and attracts some of the world's most talented players. 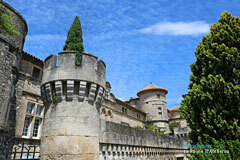 The festival is held in the magical venues of the Silvacane abbey and the Château de Florans. 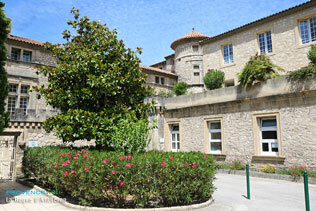 You will be impressed by the purity, simplicity and perfection of the Silvacane abbey's architecture. Built at the beginning of the 12th century, it is one of the "trois soeurs provençales" (three sisters) of the Cistercian order, together with the "abbaye du Thoronet" and the "abbaye de Sénanque" at Gordes. Don't miss visitng the Château de Florans with its splend interior court-yard, shaded by plane trees, palms and chestnut trees. 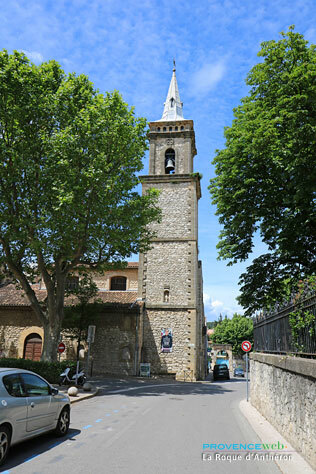 Visitors keen on walking are spoilt for choice with more than 120 km of sign-posted walking trails along the "chaine des Cotes" in the La Roque d'Antheron region, along the banks of the Durance. You will discover in this 10,000 hectare forest of scrubland and pine-trees, all the Mediterranean plants and herbs which smell so delightful and are often used in Provencal cuisine. If you are lucky you will see numerous nesting birds along the banks of the Durance, as this is the home of more than 70 different varieties. La Roque d'Anthéron has a rich historic past and a series of prestigious cultural events, with three important land-marks, an exciting village festival, a geology museum, and a wide variety of leisure activities. 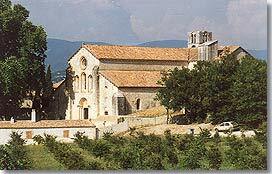 12th century Cistercian abbey Silvacane. 16th and 17th century Château de Florans. 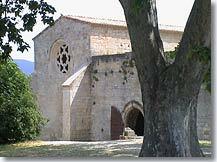 11th century Chapelle Romane Sainte-Anne de Goiron. Historic Vaudois Route. Gallic site. The Vaudois Memorial. Art gallery. Arts and crafts: visit to the "santon" studio. Elevage de chevaux Lipizzan (le plus grand d’Europe). 120 km of sign-posted walking trails. Mid July - Mid August: International Piano Festival. August : Saint-Louis festival (last week-end). June 1st : Traditional cherry festival. May : Cinema and amateur theatre festival. 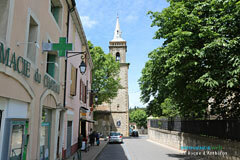 May or April : "Ronde automobile de la Durance"..
Holiday houses rentals. Apartments. Gites..
Charleval (7 km), St-Estève Janson (9km), Rognes (9 km) and Lambesc (10km).